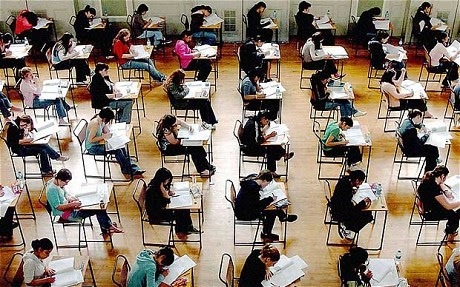 Can Hypnosis Help Your Teenager Cope With Exams Stress? Hypnosis may be the natural, drug-free answer to your teenager’s exam stress. Teenagers are under a great deal of pressure these days. Preparing for the job market means excelling at school in exams. High unemployment amongst young people means that being prepared with excellent school grades and a full CV are vital. Whether going out to work after GCSE’s at 16 or progressing to A Levels and university, grades are important. Low performance now can affect your son or daughter for the rest of their life. Juggling various subjects, some of which may be weaker or less interesting, and preparing controlled assessments of coursework means a tremendous workload. I know because my 16 year old son is sitting 14 GCSE’s involving 28 exams and controlled assessments in 9 subjects. Last year I coached him to top grades in 2 foreign language GCSE’s and 1 A Level and taught him hypnosis to help him relax and focus. Eating healthily at this time is important with plenty of Omega 3 fish for brain food. Studying late every night will affect the quality and quantity of sleep. Our teenagers need time to relax and the ability to recharge their energy enabling them to better concentrate, focus, take in information, remember texts for oral exams and most importantly, keep calm in exams. They might also need a boost in self-confidence and self-belief. "Increasing pressure and stress will have an adverse affect on many young people leading to a range of mental health problems including self harm, eating disorders and depression. For a child who has problems in other areas of their life, such as family breakdown or friendship issues, exams can be the 'last straw'. Lucie Russell said: "We need to do much more to protect young people, help them to develop resilience and support them when they find life hard to cope with." Unfortunately, the article talked about CBT and Prozac medication, rather than mentioning the benefits of hypnosis which are available immediately to any parent who wishes to help their son or daughter. I enjoy working with young people to make sure they are in the best frame of mind, relaxed and calm about their exams. If they are taking French or Spanish oral exams, I can correct the text and record it on to their smart phone so repetition from a fluent speaker will help them to remember the text. A Swedish 16 year old came to see me. She was failing in most subjects, suffered eating and sleep problems and she was cutting herself. At our first session, she was very nervous and could not stop fidgeting. After only three sessions, she felt and appeared much calmer. She could eat and sleep without problem and stopped the self-harming. Three months later, she passed all her exams, some with high grades. A year later, she moved to China as an au pair. Her mother told me it was unthinkable that she could have achieved all of this when she first brought her to see me. I help people in several countries using Skype. © Antonia Harrison 2014 Antonia Harrison is the English Skype Hypnotist who helps clients around the world through their computer screen using advanced techniques in Hypnosis, NLP, Personal Development and Coaching to bring effective long-lasting results. "Mesmerism was abandoned for political and theoretical reasons not because it didn't work. Doctors went over to hypnotism because it's theory sounded more 'scientific'. However, a modern study of mesmerism has shown that mesmerism produces a deeper trance than hypnotism and a richer trance experience for the client. Other modern studies have shown that mesmerism has a positive effect on the body's energy field in a way that hypnotism does not. There is over a hundred and fifty years of research into mesmerism that shows it was more effective in treating certain illnesses like arthritis and back pain than hypnotism. This is a unique opportunity for hypnotherapists to dramatically improve their success rate and treat new illnesses by studying mesmerism. Mesmerism is both a bio-energy therapy and trance therapy thus it gives you another dimension to your practice. Mesmerism influences the electromagnetic field around a person’s body. There is over 150 years’ history of experiments and case studies of mesmerism done by professors and some of the best minds of the day. Many of the medical cases of mesmerism are written up in more detail than modern studies of hypnotism. To learn hypnosis is to learn a technique. To become a mesmerist is to transform your personality – to develop your will power to project bio-energy to entrance your subject." "From now on you need never await temporal attestation to your thought. You think the truth. You do not have the right to eliminate yourself. You do not belong to you. You belong to Universe. Your significance will remain forever obscure to you, but you may assume that you are fulfilling your role if you apply yourself to converting your experiences to the highest advantage of others." "What could a person do to change the world?" Whenever he came up against a limiting thought, a feeling of impossible or an outside obstacle, he'd ask, "What if?" What happened? Well...Mr "Nobody's" life turned out rather interesting. He became an architect, an inventor, a author (he wrote 28 books) and a great leader of men. He received 44 honorary degrees, registered 25 U.S. patents and, through it all (from the launch of his experiment) he literally changed the way humans see themselves and their world. Mr "Nobody's" name? The great Buckminster Fuller. Just goes to show the power of asking: "What if?" Just imagine how far you could go, how high you could rise in the world, if you continually asked "What if?". And what if you started TODAY? Irritable Bowel Syndrome is painful. I speak from personal experience. IBS is now one of the most common problems of the digestive system: about 1 in 6 people in the UK have occasional symptoms such as pain in the abdomen, constipation and diarrhoea. Other symptoms include a bloated abdomen, passing excess wind, feeling sick and indigestion. Some people also experience a sense of fullness. Women are more likely to get IBS and to have more severe symptoms. If you suffer repeated symptoms, you should always be checked out by your doctor as there could be some other underlying bowel condition. 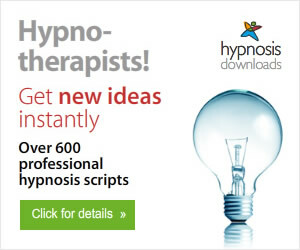 I cannot stand any pain so when I started to suffer from IBS, I knew hypnosis would help. 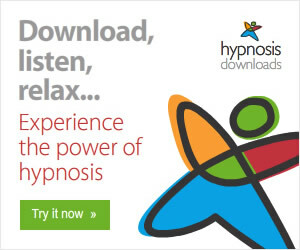 I went online to order a Download Hypnosis MP3 for Irritable Bowel Syndrome The relaxing experience helped me to carry on with my day. Ease Irritable Bowel Syndrome is an audio hypnosis session that will help you calm down your stress levels and influence your digestive system to soothe and heal. As you relax and listen repeatedly to your download, you will quickly find that you: - relax faster and deeper each time you listen - begin to feel much more relaxed about life generally - notice that you are feeling more comfortable and secure physically - feel more and more confident using visualization techniques to help yourself heal - find creative ways of managing sources of stress - are enjoying life again Ease Irritable Bowel Syndrome only costs a few Pounds or Dollars so it has to be worth trying. Who wants to live with pain?